In another pan heat oil or ghee or unsalted butter. add the cumin and cinnamon and fry them. 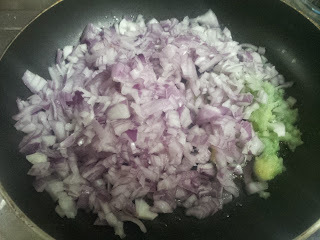 Add the ginger-garlic paste and onions and fry till they become transparent or light brown. 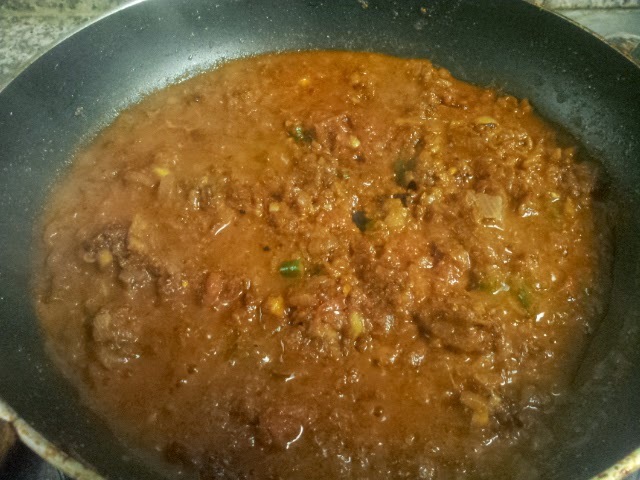 Then add tomatoes,green chillies and all the masalas and saute for a min. 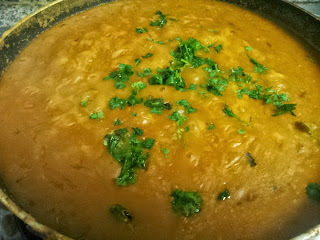 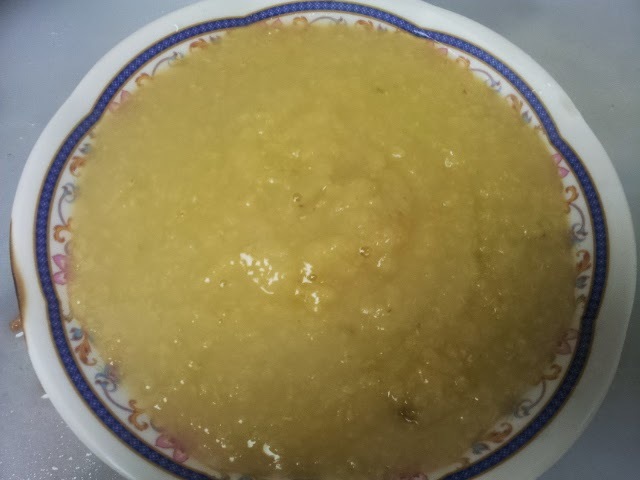 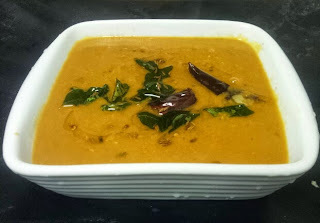 Add cooked dal and coriander leaves and boil for 10 minutes. Add fresh coriander leaves. 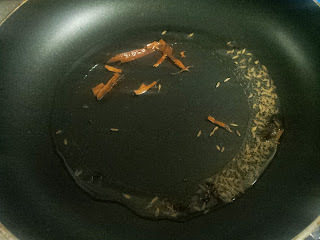 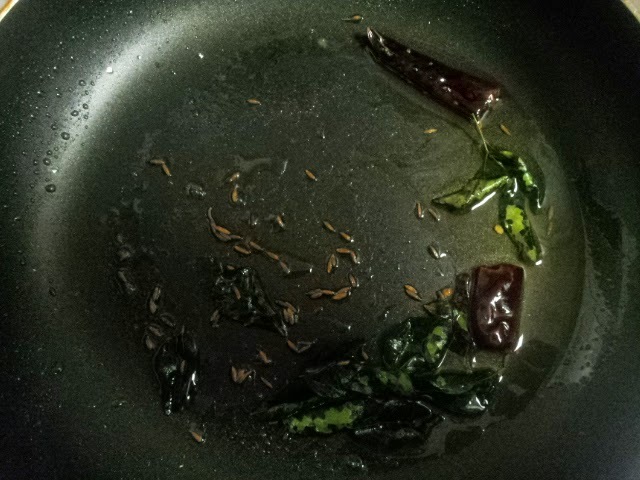 For Seasoning,heat oil in a pan,add mustard seeds. 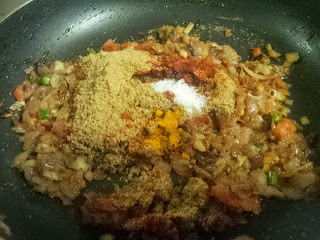 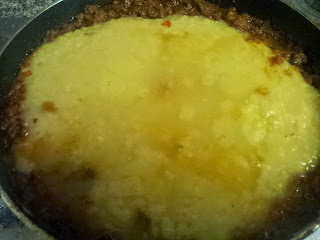 Once it crackle,add cumin seeds,curry leaves,red chillies. Pour this to the dal and serve hot.